Benchmark Professional Engineer | Roof | Experience | Benchmark Inc.
After joining the Benchmark team in 2010 as a summer intern, Andrew’s experience and expertise continues to develop as he hones in on the roofing industry. Throughout Andrew’s initial summer internships, he gradually expanded his repertoire from reading NRCA manuals and taking notes, to folding drawings for the drafting department, and occasionally boarding a plane to assist with surveys as he sketched drawings and performed core cuts. As he returned to Benchmark throughout subsequent summer breaks, Andrew’s level of involvement continued to expand as he shadowed numerous senior consultants on complicated survey work and assisted with full-time project management to deepen his knowledge of various roofing systems. His survey work often led him to pulp and paper mills, allowing him to further expand his apprehension of this challenging and unique environment! 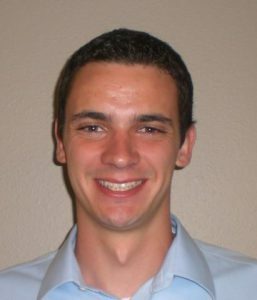 Following graduation in 2012, Andrew officially became a member of the Benchmark roof consulting team. Starting as a field consultant and overseeing the proper installation of roof systems allowed him to develop a deeper knowledge and appreciation for the way a roof is properly constructed. In 2014, Andrew was promoted to staff consultant where his skills allowed him to focus more on completing roof evaluations and developing recommendations and associated five-year budget forecasts for Benchmark’s clients located through the country. Additionally, Andrew began developing roof replacement specifications under the careful guidance of Benchmark’s senior design team. In addition to Andrew obtaining his P.E., he has also recently become a member of Benchmark’s Technical Committee. Along with his role on the Committee, he remains committed to being more involved with the technical side of the job such as building code requirements, ASCE 7 updates, changes in manufacturer’s materials or requirements, etc. Benchmark is extremely proud of the dedication Andrew continues to show the roof consulting industry, our clients, and the rest of the Benchmark team. We congratulate him on a job well done in successfully obtaining his P.E. license, and look forward to the future!